William Heyen's music and meditations continue to amaze. 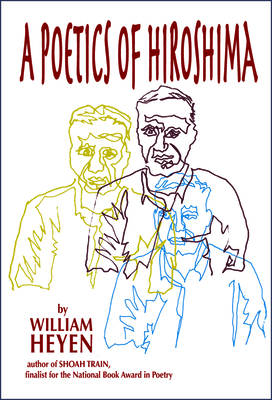 I've now read and absorbed all the poems of A Poetics of Hiroshima. I am not ready to write anything about them, except to express my awe.-Cynthia OzickA remarkable poet in whom the 'visionary' and the unblinkingly 'historical' are dramatically meshed. He writes with the wild, radiant audacity of the visionary; yet his eye and ear are sharp, unsparing.-Joyce Carol OatesThe author of eighteen books of poetry, William Heyen has been awarded Fulbright, NEA, American Academy of Arts and Letters, and Guggenheim fellowships and prizes. His Shoah Train was a National Book Award finalist. William Heyen is a former Senior Fulbright Lecturer in American Literature in Germany and has won awards and fellowships from the National Endowment for the Arts, the Guggenheim Foundation, Poetry Magazine, and the American Academy and Institute of Arts and Letters. Heyen is the author of several collections of poetry, including Shoah Train (Etruscan Press).